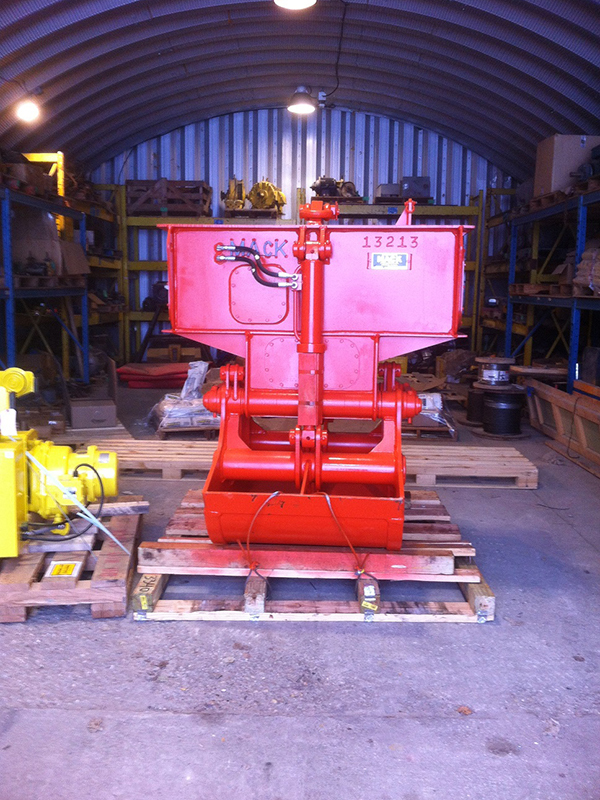 NEW hazardous/submersible hydraulic grapple (clamshell), never used, complete manual and documentation will be provided. 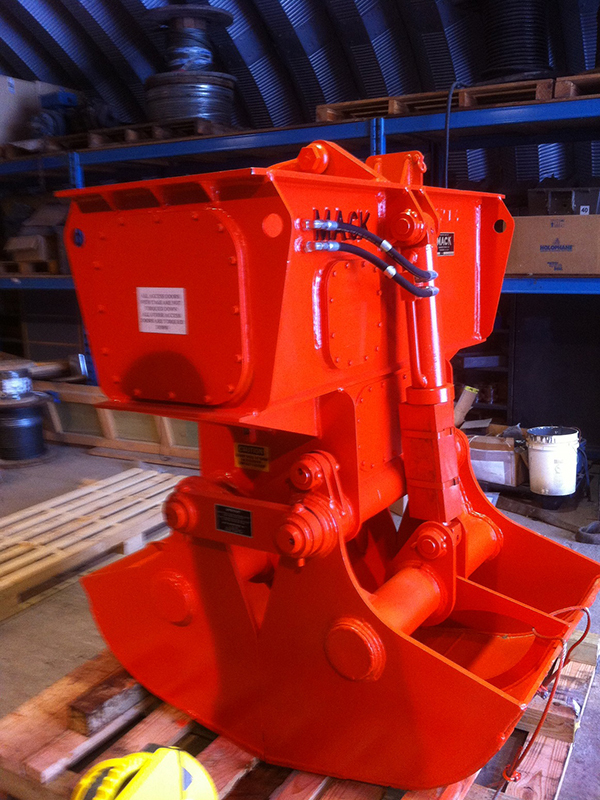 Mack Model MHSCHM-75S, ¾ Cubic Yard Heaped Capacity, Self-Contained Electro-Hydraulic Submersible Explosion Proof Material Handling Clamshell Bucket. 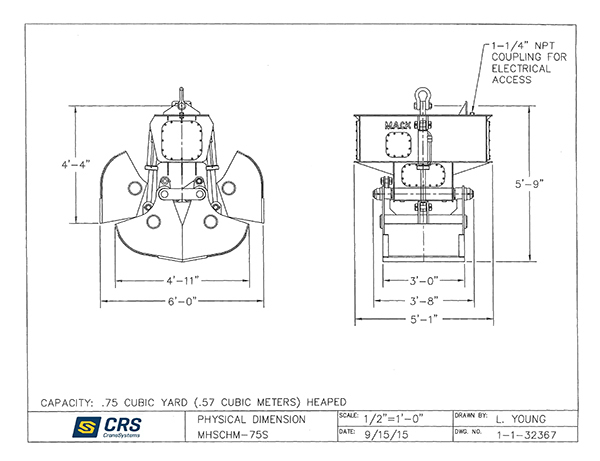 This bucket will be equipped with a 10-HP Hydraulic Package and designed to be submersible. 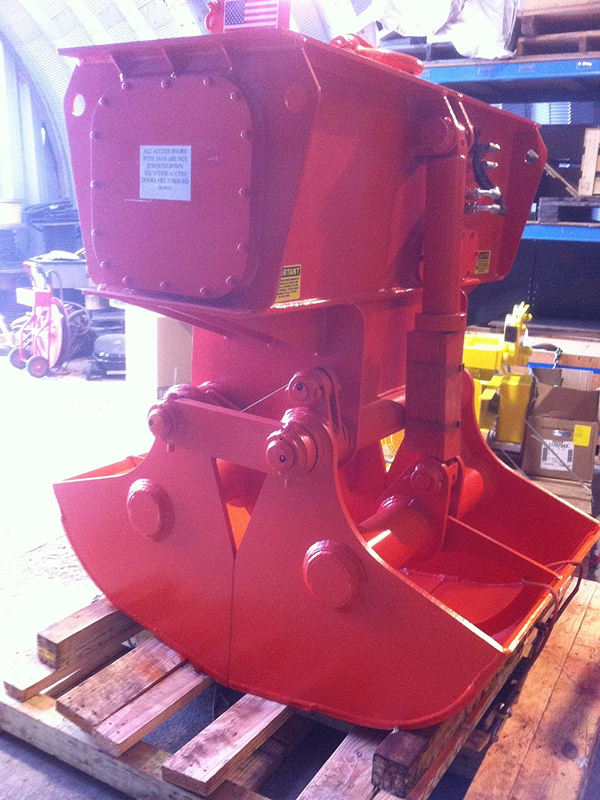 Approximate weight of this unit will be 4,500-Lbs with oil, which is not supplied with the bucket. ASTM-A514 (T-1) steel plate is used in manufacturing with AR400 plate being used for the lips and wear bands. 400 brinell wear plate is used in high wear areas that come in contact with the product. To ensure the highest standards of fabrication, all welders are certified. Oversized bushings are used at hinge points (bearing area) for longer life. All shafting is heat-treated and stress-relieved 4140 material. All standard steel bushings are hardened to 450-500 brinell. All hinge points are easily lubricated. All hoses and hydraulic fittings are flat face seals or split flange. Z Gleason Hazardous Duty Cable Reel SZ16621-123-10-5 With 40ft Cable 14 AWG. This can be sold with or without the grapple. Cable reel has upgraded spring kit 80 std, upgraded steel vertical roller, upgraded ball stop assembly and upgraded cable grip assembly.